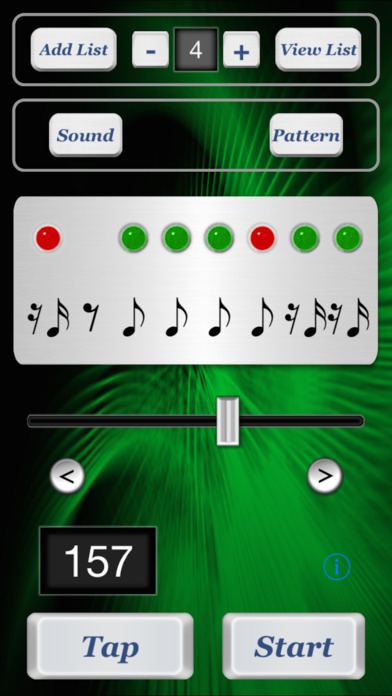 This application is the metronome which can set various patterns graphically. There are not only patterns of the normal tempo but also latin beat such as Clave (Son) or Samba (Partido Alto). 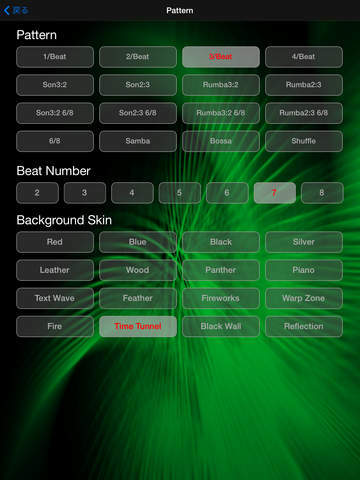 It uses note for each beat, and has plain design intuitively. -- 1/Beat - 4/Beat, 6/8, Son (3:2, 2:3), Rumba (3:2, 2:3), samba (Partido Alto), Son 6/8, Rumba 6/8, Bossa, Shuffle. 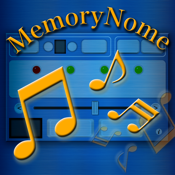 -- Switch note (rest) for rest (note) by tapping note. 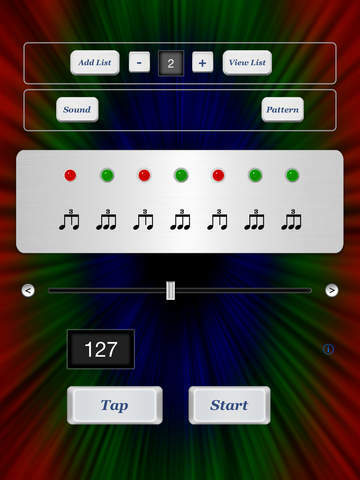 -- Each note selects 2 patterns of beat sounds. -- Each list parameter has BPM, pattern, beat number. -- Change the list at top screen.